A new online video platform for sports enthusiasts. Interactive Things: Christoph Schmid (Design Lead), Jan Wächter (Senior Interaction Designer). 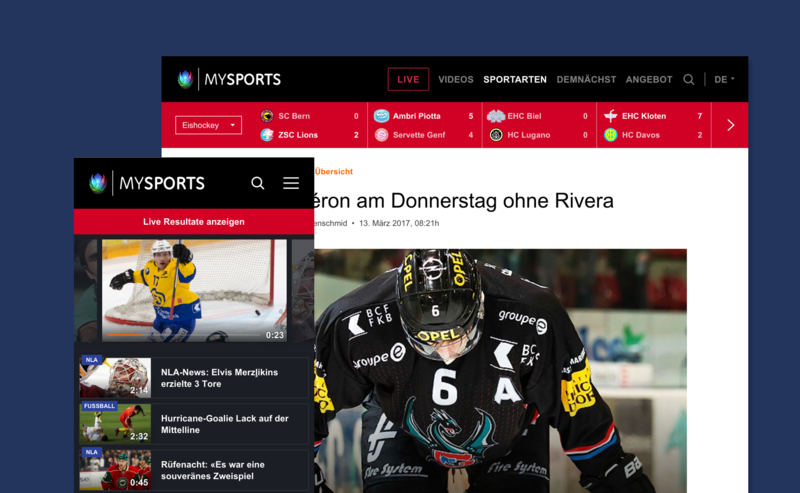 Interactive Things was asked to support the product strategy and product design of a new video platform for Swiss sports enthusiasts. The online service is provided by UPC and acts as a companion to their new television channel MySports. 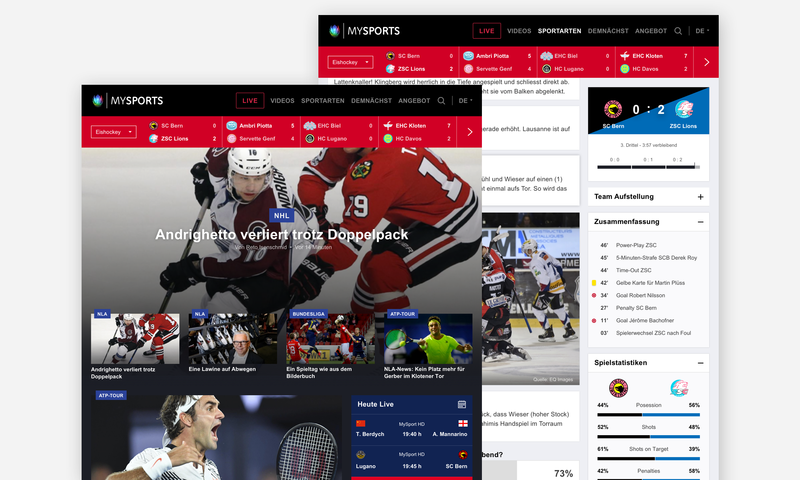 MySports customers (paying subscribers of MySports TV) had access to all sports events and content on the platform, while the general public could watch a limited amount of sports activities and teasers for the remaining others. The challenge was to design compelling experiences that would feel engaging for both user groups. MySports website would host different types of content modules (e.g. News, Articles, Videos, EPG, Statistics, etc.). 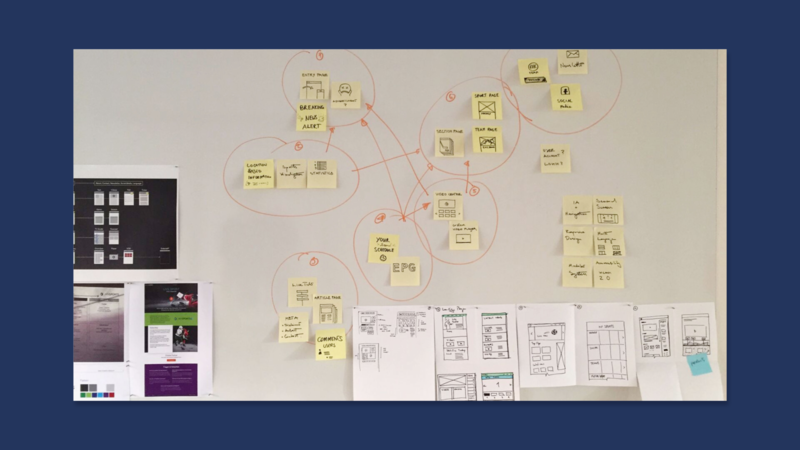 Driven by the content and following a highly iterative process, we started defining the product landscape. The platform was divided into four pillars (Entry Page; Section Pages; Detail Pages; Video Center) that represent the central cluster for other sections and pages. 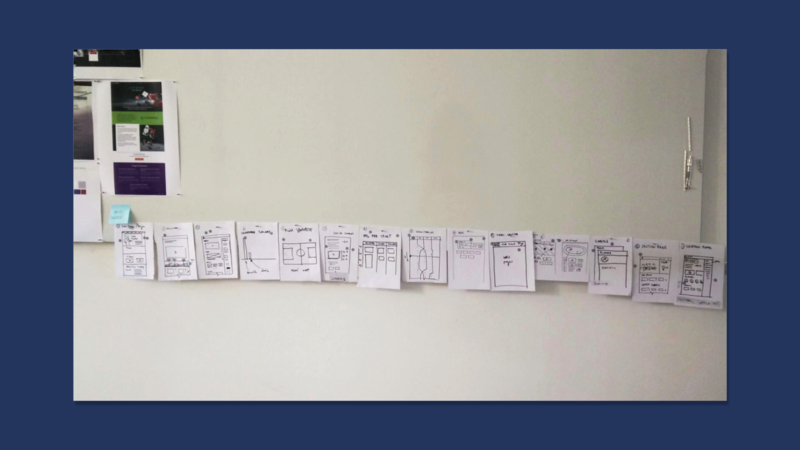 The possible solutions were quickly sketched and translated into wireframes. 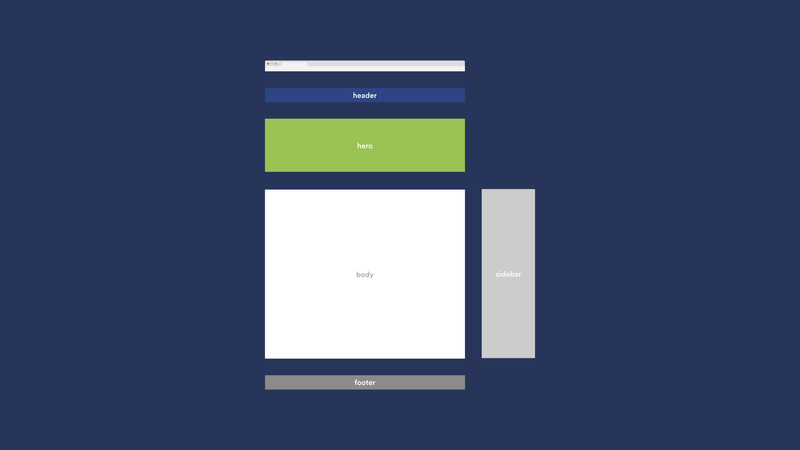 We implemented a modular framework to fit a dynamic content (e.g. pre-event, during, post-event) across different sections of the product. Once the information architecture was defined, we worked on the navigation system. 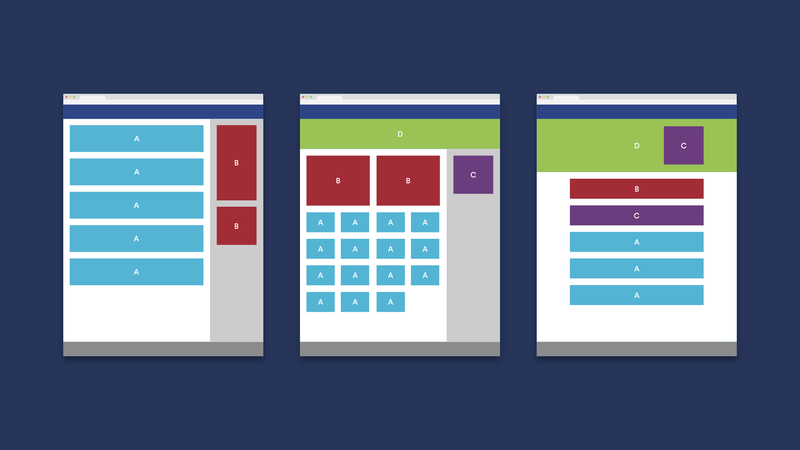 Since the same content could live on multiple pages, we had to create a navigation pattern that allowed users to understand where they were in the flow. More often sports offer increasingly accurate data and statistics around a single event. We leveraged the user experience by proposing advanced data visualizations for the MySports platform. 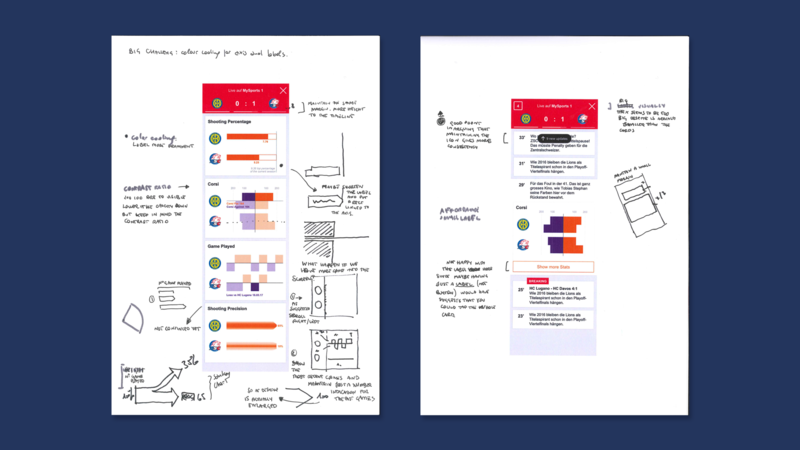 I was in charge of envisioning and prototyping a second-screen experience that would enrich the online service and represent a point of difference amongst other competitors in the market. The mobile first visualization had to be consistent over different devices but also clear and easy to digest for the general public. To develop the concept I worked with ice hockey – Swiss national sport and one with the most advanced technologies and analytics – data focusing my attention on navigation, labelling and colours. I maintained a modular layout that could work across different sports and disciplines and be scalable for new and updated data.